RTO Insider reports she enthused that the energy storage industry will grow to 35 gigawatts by 2025 and create hundreds of thousands of new jobs along the way. Energy storage will account for $4 billion in cumulative operational savings during that time while avoiding 3.6 million metric tons of carbon emissions. Christopher Parent, ISO-NE’s director of market development, told the conference his organization had no storage in its interconnection queue a couple years ago. Now it has more than 500 megawatts of grid-scale energy storage proposals in the queue, a number that has been growing even in recent weeks, he said. Dan Finn-Foley, senior energy storage analyst for GTM Research, said “energy storage costs have dropped dramatically over the past few years” and projected the trend to continue. ESA figures show the costs for large-scale storage systems declined by 50% since 2014, and Finn-Foley estimates those costs will drop an additional 35% by 2022. Massachusetts Governor Charlie Baker opened the conference by saying the ability of energy storage to shave peak demand “may be greater than anything else.” This past winter, New England experienced a period of unusually cold winter, during which local power companies burned through nearly two million barrels of oil — twice as much as was consumed in all of 2016. Such high demand inevitably leads to higher prices. “If you push storage all the way … you could be in a situation where you store during off-peak so that when you have a period like that, you’ve got enough capacity available to draw the storage and you don’t have to pay those huge prices during peak; you don’t have to use those far dirtier sources of energy,” Baker said. Massachusetts has been aggressive about investing in measures to counteract the damage from climate change, including a proposed Clean Peak Standard that will require utilities to use a minimum amount of renewable energy to supply the peak hours when demand and prices are highest. The standard amounts to make renewables responsible for 10% of all grid hours each year. Massachusetts wants 9.45 terawatt-hours of hydro and renewable energy by 2030. It is also pushing for the development of 1,600 megawatts from offshore wind projects. The bottom line is that energy storage has grown to the point where it can be used in place of new natural gas powered generating plants. Even some existing gas facilities may be replaced by renewables coupled with energy storage, such as the Grayson facility in Glendale, California, which has been in operation since 1938. All of which makes Kelly Speakes-Backman’s optimism entirely appropriate. 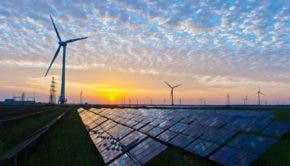 We are on the brink of a watershed moment when renewables make more economic sense than coal, natural gas, or nuclear. It was only a few years ago that renewables were seen as interesting but not yet commercially viable. It’s amazing how swiftly that narrative has changed.